Stan and I have just returned from the TNNA Summer trade show in Columbus Ohio. Staring at the back wall and our mess around I was wondering if we would be able to set the booth the way I was picturing it in my head. The yarn displays and the string art installation were an absolute hit, and we are very proud to say it is a 100% our design and invention! At the end of the day, everything seems to be taking its place the way it should. It was time for a Fashion Show! 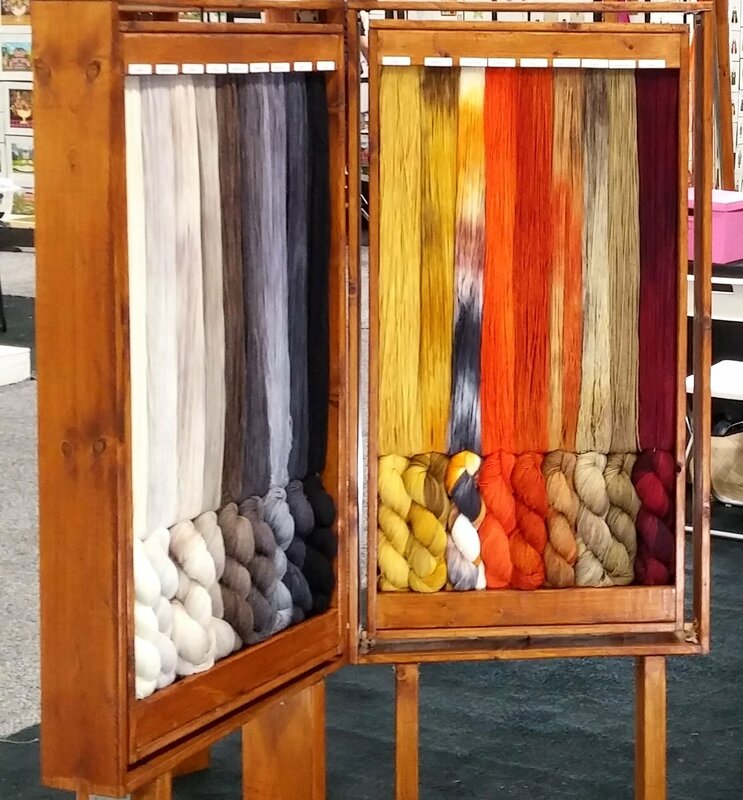 ARTFIL Yarn was showcased with two shawls. Unfortunately, I was sitting in front of a huge lamp and none of my images worth publishing… so sad. The show was an absolute success! We welcomed in the Artfil’s retailers family many yarn shops, met wonderful people and established promising business relationships.